A restaurant with beer garden, a pizzeria, a bistro, six ice-cream kiosks and a crepe kiosk: Don't worry about your physical well-being. Whether it be animal figures, postcards or books. 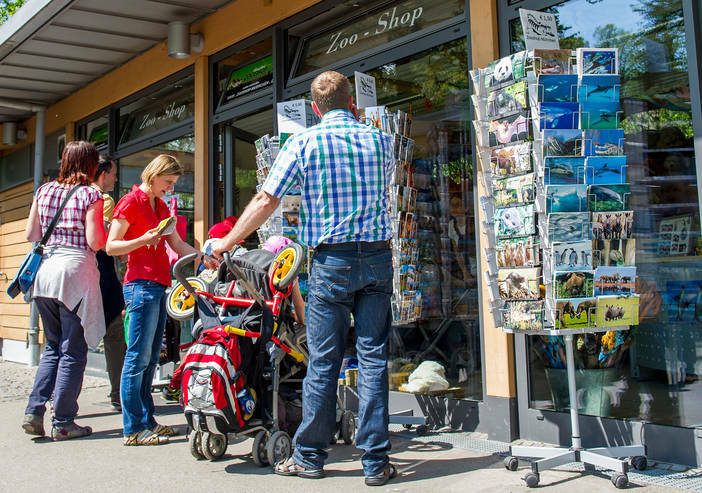 Our two gift shops situated at the Isar entrance and Flamingo entrance offer a fantastic selection of souvenirs for you to choose from. 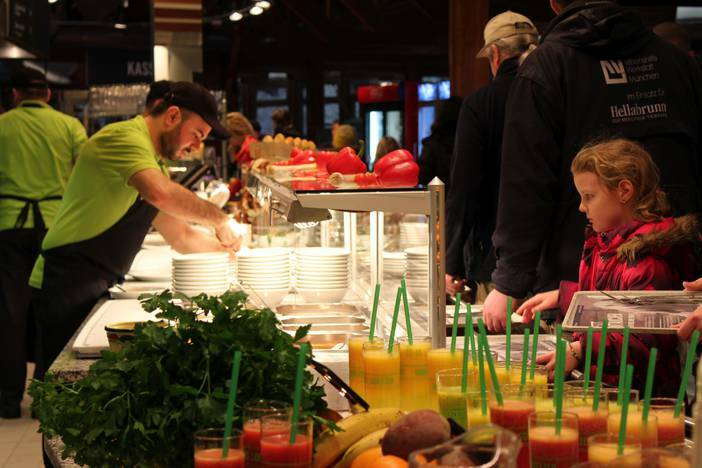 Our menu offers extravagant and local food for small and big guests. Especially in summer the beer garden in the shadows with the neighbouring adventure playground is worth a visit. 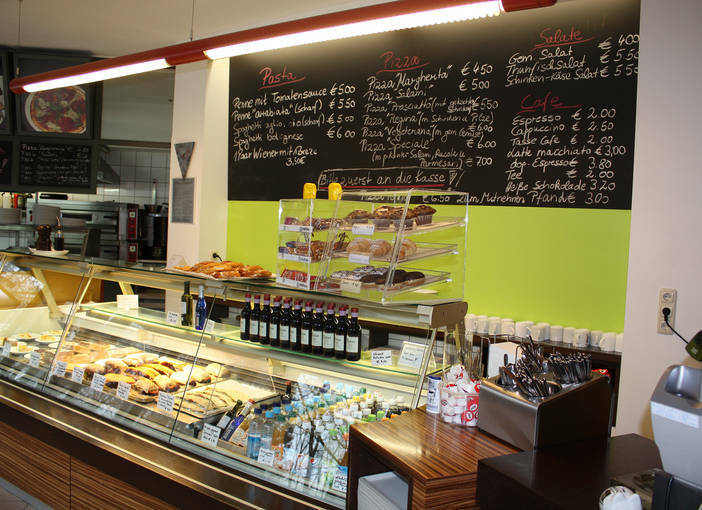 The Brezn Sepp restaurant in Mühlendorf serves Bavarian delicacies such as white sausages and oven-fresh brezn (pretzels) with a variety of toppings to suit every taste. 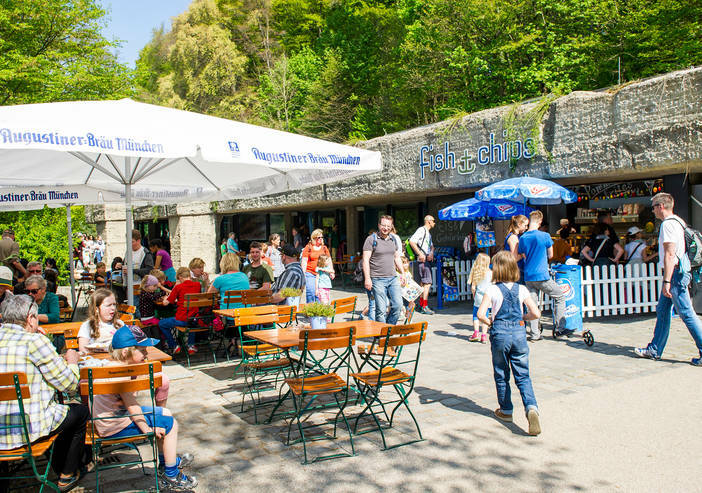 Relax in the cosy beer garden by the village pond and enjoy a quiet break during your day of adventure at Hellabrunn Zoo. Enjoy Italian specialties with an outstanding view towards the flamingo’s. 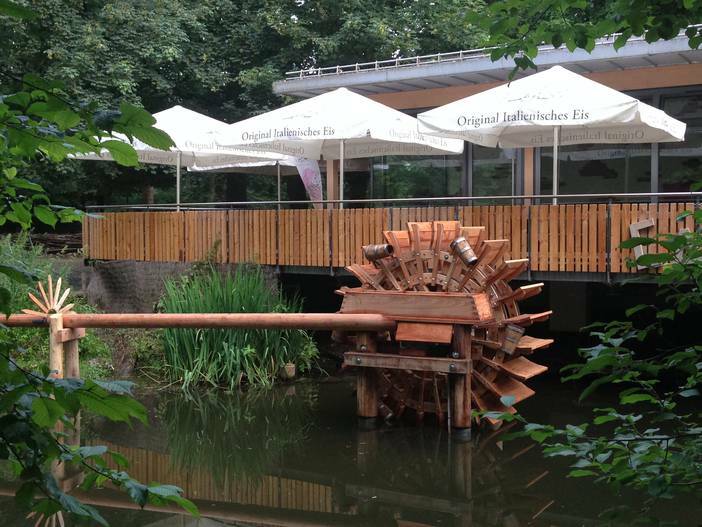 The rustic style Café Mühle is located at the Isar entrance of the zoo and features a cozy outdoor terrace overlooking the water. From the terrace, you can enjoy beautiful views of the activities in the petting zoo. 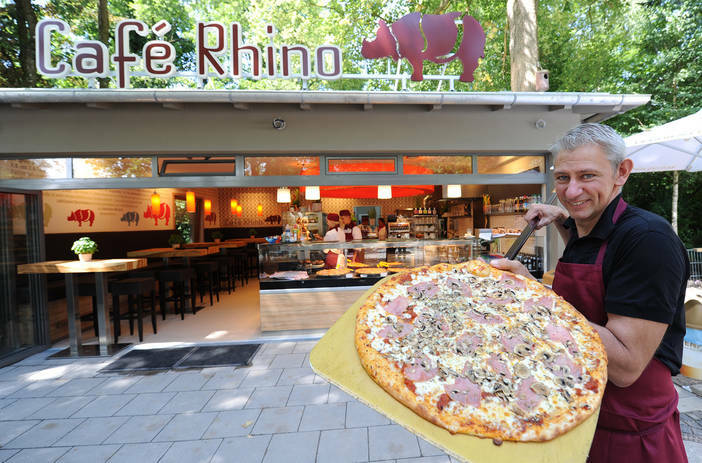 Café Rhino offers tasty Italian Panini as well as freshly baked, handmade pizzas, delicious cakes and a selection of coffees. 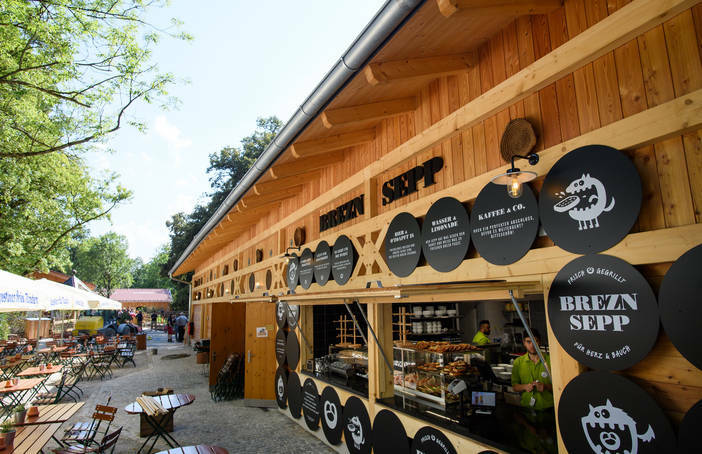 During the zoo’s opening hours the café has 30 seats available inside and 120 more outside on the comfortable terrace. And those with a thirst for knowledge also get their money’s worth: visitors can learn more interesting facts about the rhinos the café is named after on one of its internal walls. The kiosks and snack bars offer a variety of snacks and treats. Located at the Jungle World, Monkey World, Polar World and Baboon hill.